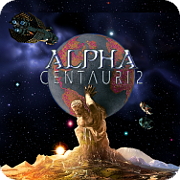 Re: $ 2.39 sale on SID MEIER'S ALPHA CENTAURI™ PLANETARY PACK at G.O.G. The sale's over now, but the regular $5.99 price is still pocket change for one of the most finely crafted games ever made and years -yes, literally years- of entertainment. I like this game very much. It requires thought. The whole 4x genre has always been a favorite of mine. My only issue with it is the games of this type can take many, many hours but that is a feature at times, not a bug. GoG also has pretty good service. I was locked out of an account a while back because I had my GoG account tied to an email I use as a spam collector and hardly open. I lost the password and have changed phone numbers so Yahoo would not let me in. Yes, yes, we've all heard the philosophers babble about 'oneness' being 'beautiful' and 'holy'. But let me tell you that this kind of oneness certainly isn't pretty and if you're not careful it will scare the bejeezus out of you. Page created in 1.228 seconds with 40 queries.